Pioneering West Coast sneaker boutique Undefeated has created a special sneaker with NikeLab that's oozing California flavor. 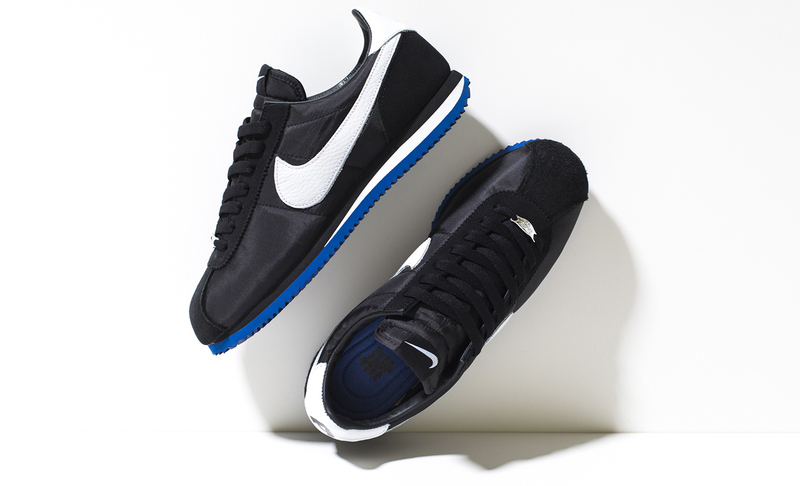 The silhouette is the Nike Cortez, which has long enjoyed cult status on the streets of Los Angeles and beyond. 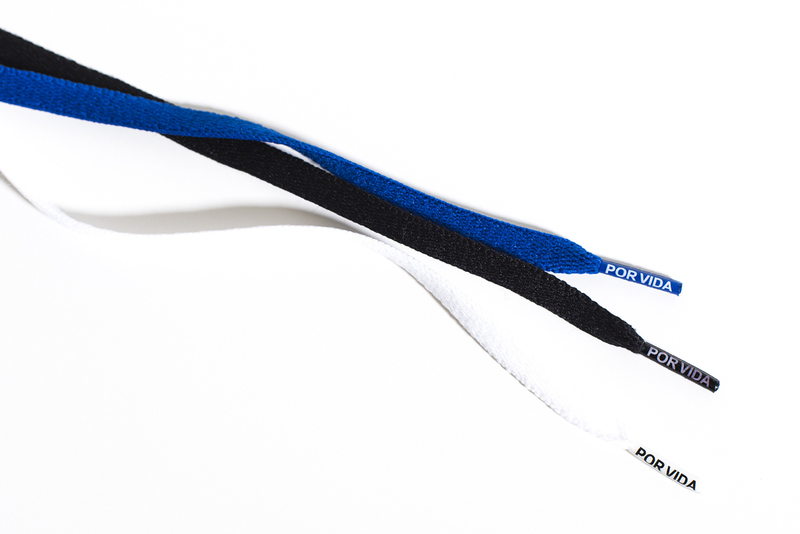 The heel tabs proudly mention the shoe's heritage with "LA" spread across the left and right shoes, and the aglets proclaim "Por Vida." 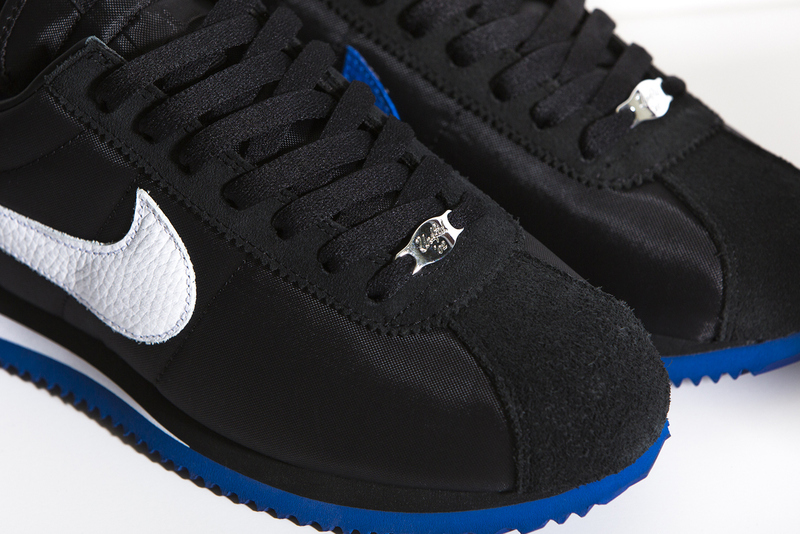 UNDFTD's tenure in the shoe business is mentioned with an '02 inscription on the deubre. The colors switch between white, black and blue in what comes off as a Dodgers tribute. 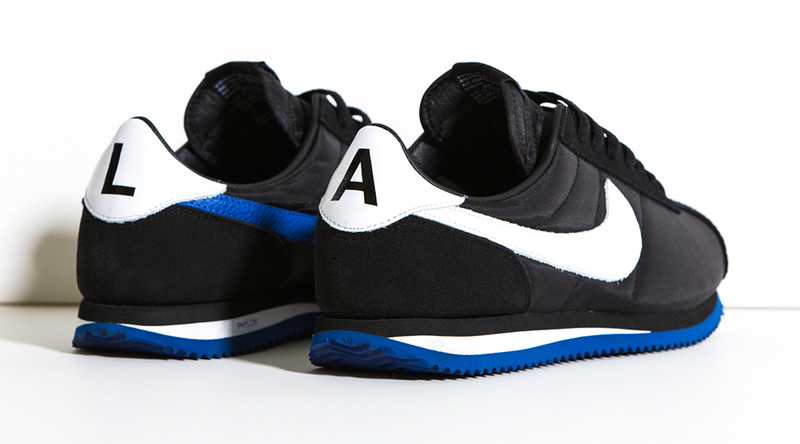 The sneaker release date on the UNDFTD x Nike Cortez "LA" is Nov. 5. 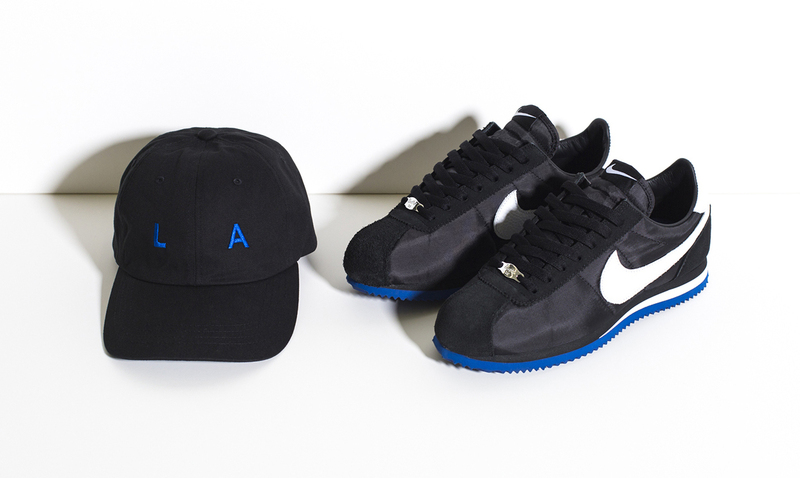 UNDFTD x NikeLab Cortez "LA"